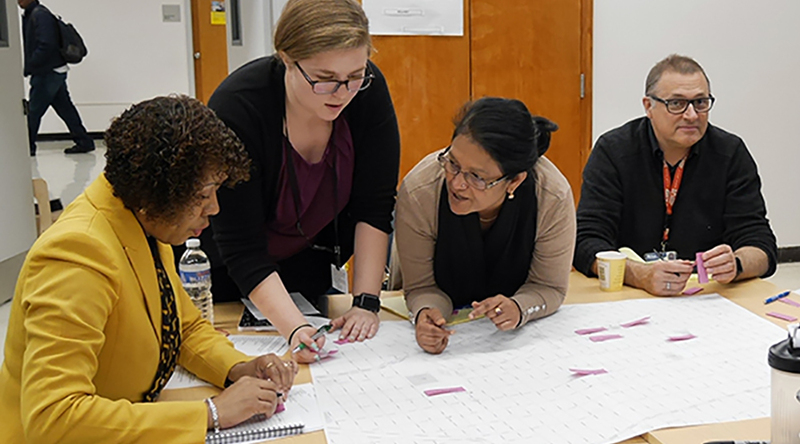 Brooklyn Public Library (BPL) is committed to serving a diverse community in Brooklyn, which can mean expanding beyond the reach of building walls and exploring new models for engaging with patrons. This is especially necessary in a time when technological innovations are drastically changing the role of libraries. 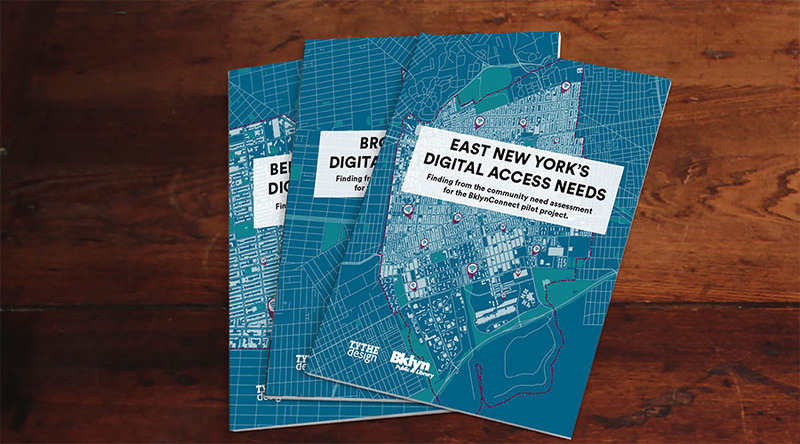 In 2017, BPL launched the planning for the BklynConnect pilot, an opportunity to provide public Wi-Fi access outside library walls in underserved communities being left out of the digital age. 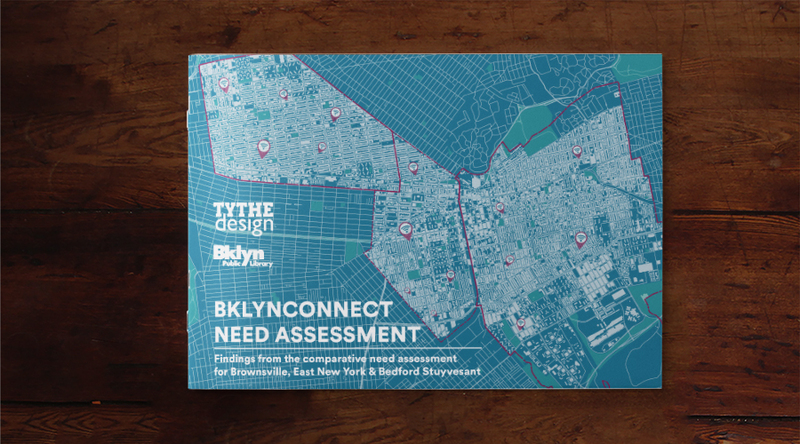 TYTHEdesign won a bid for BPL to lead the community needs assessment and strategic planning for the initiative. TYTHE led three Neighborhood Needs Assessments, utilizing a range of research methodologies, from traditional methods such as demographic data analysis, surveys, interviews and observation to human-centered design methods such as community partner workshops, tabling activities, and collective mapping. 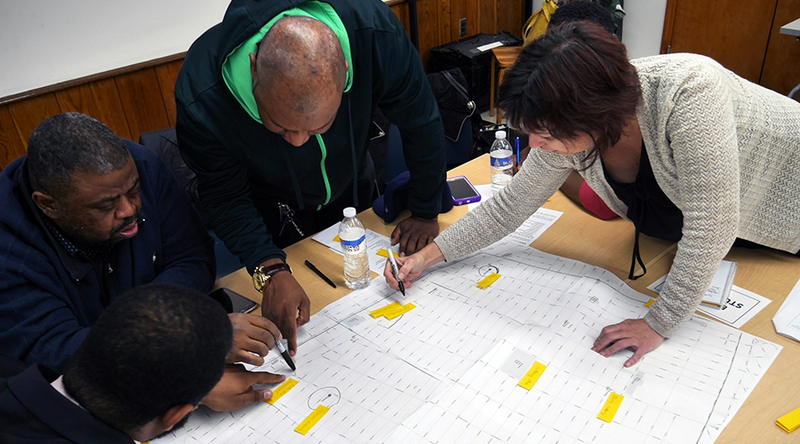 The outreach and engagement strategies were designed to uncover neighborhood broadband needs, identify opportunities for new programming/services that support education, digital literacy, and inclusion, and select the neighborhood for the pilot. Over the course of the research, TYTHE collected 620 surveys, held four workshops with 66 community members, interviewed 27 library staff and observed 155 patrons partaking in the library community. 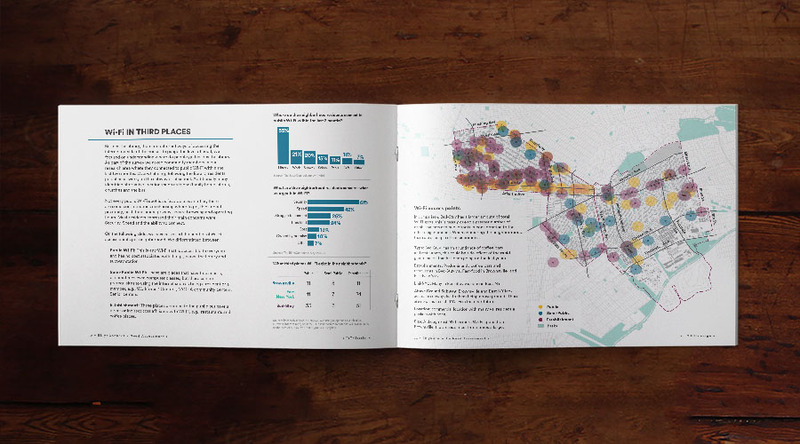 From this diverse community input, TYTHE produced three shareable neighborhood reports that outline the digital access and literacy of the neighborhood. The reports exist both as a resource for existing initiatives and a starting point for future public Wi-Fi projects and educational services. 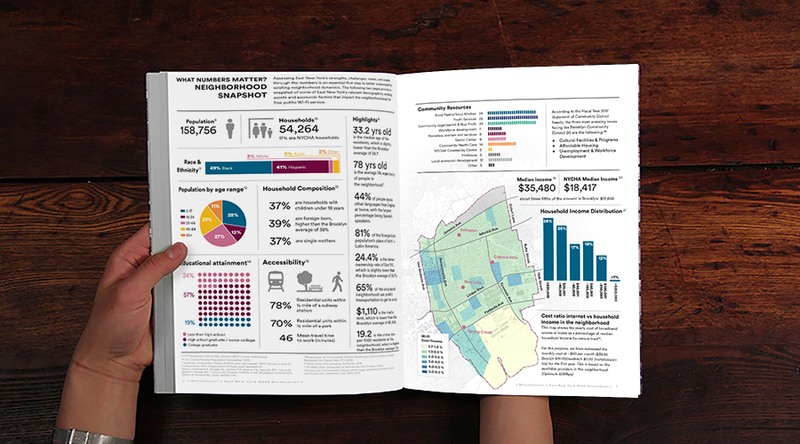 TYTHE led the graphic design and layout of the Neighborhood Needs Assessments, utilizing visual design and infographics to create an informative and accessible resource. 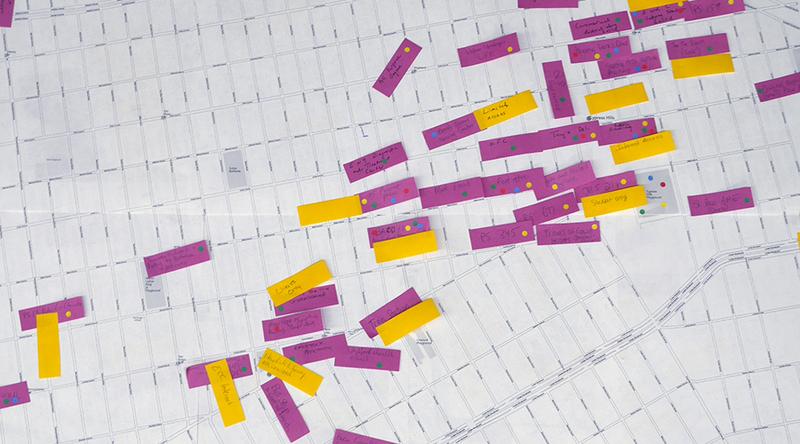 Currently, TYTHE is in the next phase of the pilot, providing strategic support for the pilot location determination and implementation and the production of a Playbook to share strategies and document the research process.